Fiona Robinson is Professor of Political Science specializing in International Relations and Political Theory. She holds am MPhil (1992) and PhD (1995) from the University of Cambridge, an MA in International Affairs from the Norman Paterson School of International Affairs (1991) and a BA Honours in Political Studies and English from Queen’s University (1989). From 1994 to 1998 she was Lecturer in the department of International Relations and Politics at the University of Sussex, UK. She is the author of The Ethics of Care: A Feminist Approach to Human Security (Temple University Press, 2011), Globalizing Care: Ethics, Feminist Theory and International Relations (Westview Press, 1999), and co-editor, with Rianne Mahon, of Feminist Ethics and Social Politics: Towards a New Global Political Economy of Care (University of British Columbia Press, 2011). 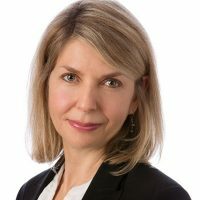 Her book The Ethics of Care won the University of Southern California’s J. Ann Tickner Book Prize in 2014, and was shortlisted for the Canadian Political Science Association’s International Relations Book Prize in 2012. Fiona Robinson was the recipient of the 2012 Faculty of Public Affairs Research Achievement Award and a 2014 Carleton University Research Achievement Award. 2014. ‘Discourses of Motherhood and the Ethics of Care: Maternal Thinking as Feminist Politics’, Journal of International Political Theory, 10(1): 94-108. 2013. ‘Global Care Ethics: Beyond Distribution, Beyond Justice’, Journal of Global Ethics, Special Issue: Critical Approaches to Global Justice: At the Frontier, 9(2): 131-143. 2011. Rianne Mahon and Fiona Robinson, eds., Feminist Ethics and Social Policy: Towards a New Global Political Economy of Care. Vancouver: University of British Columbia Press. 2011. ‘Stop Talking and Listen: Discourse Ethics and Feminist Care Ethics in International Political Theory. Millennium: Journal of International Studies. 39(3): 845-860. 2006. ’Beyond Labour Rights: The Ethics of Care and Women’s Work in the Global Economy’, International Feminist Journal of Politics, 8(3): 321-342. 1999. Globalizing Care: Ethics, Feminist Theory and International Relations, Boulder, CO: Westview Press.